There’s a reason why everyone from Conde Nast Traveler, National Geographic Traveler, TripAdvisor, and now Ramona consider this one of the best beaches in the world, because it is! A half day excursion (full day even better!) with either Caicos Dream Tours or Island Vibes will be the best day of your vacation. Both snorkel the outer reef, dive for conch, and stop at the uninhabited scrumptious Half Moon Bay, reached only by boat. 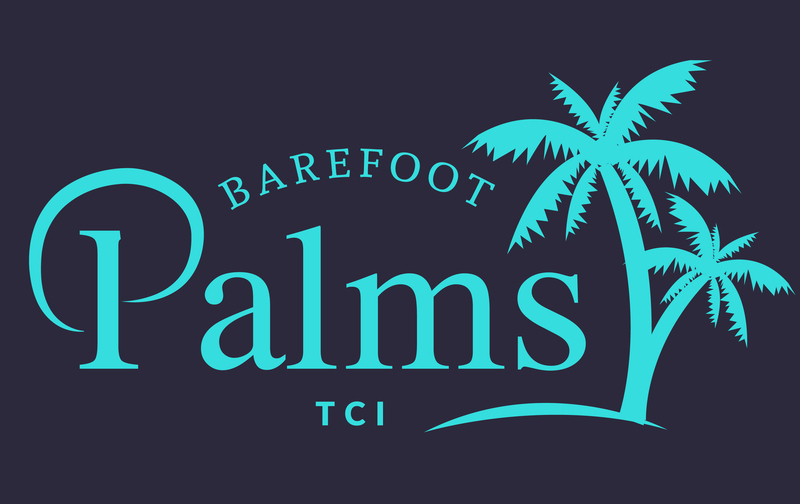 Barefoot Palms guests get 10% discounts on excursions. T&C is all about conch! Da Conch Shack is world famous, casual rum punch on the beach under palms. Bugaloo’s started the conch craze, on the water, make sure to go Sunday afternoons with live bands, the place rocks! Explore the Out Islands! Laid back and charming. On North stop to see flamingos at flamingo Pond. At Middle the most picturesque beach of all, Mudjin Harbour. Look for the secluded beach on the cliffs, with stairs leading to a hidden cave. With water so clear and turquoise, make sure to snorkel, bonefish, scuba, SNUBA, jetski, banana boats, parasail, kayak, Stand Up Paddle Board, Kiteboarding, sail…..
Island Hopping… Out Island Style! The capital of Turks and Caicos is actually sleepy, colorful and charming. Columbus landed here first (big debate!) Museum has largest collection of “messages in a bottle.” There’s a lighthouse and prison, and buildings made of scraps from pirates ships. Cruise center has shops and largest Margaritaville in the world. Gibbs Cay swim with stingrays. Day trip from Provo early morning flight return in time for dinner. The land that time forgot, yet easy to remember. Go around in golf carts, (don’t hit the roaming donkeys! ), meet the “characters” that live there, they’ll be friends for life. January thru April go whale watching. Look for pirates graves. North Beach might be the best beach of all— Day trip from Provo on Caicos Express Airways 2-3 times a week. Caves with bats, cliffs with hidden paths, amazing beaches all to yourself, funny how the biggest island is the least populated. Day trip by ferry from Leeward (Where Barefoot Palms is) rental car on North gets you to Middle Caicos. On return to North, stop at Flamingo Pond and Barraccuda’s Bar at Pelican Resort before returning to ferry.